My sister and brother in law were in Newfoundland visiting his family at the same time I was there. We frequently compared food via text and I was a bit confused when she said she was having a “mess” for lunch. I was so excited to discover “weiner mess” on the menu of the food truck in Farewell while waiting for the ferry to Fogo. My brother in law says I should have had dressing on it, but it was really good as is. The first night in St. John’s we went to George Street and had fish and chips in a pub. Classic. Cheesecake for dessert at the Cafe at the Rooms in St. John’s. 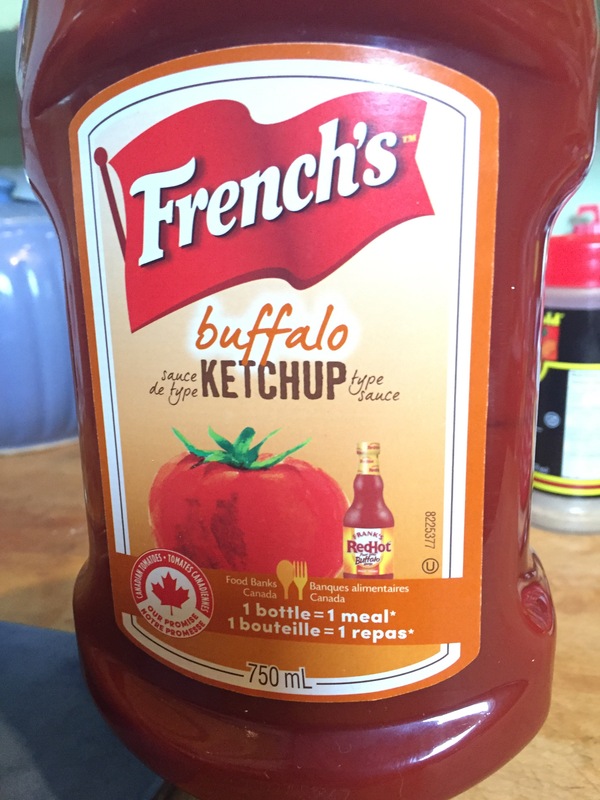 If you were in Canada last winter, you no doubt heard that French’s ketchup is now being made with tomatoes grown in Canada and made into paste at the former Heinz plant in Leamington, Ontario that was closed 2 years ago. Leamington has always been associated with its tomatoes and the ketchup plant. The gift bags we received from a meeting there years ago even had little bottles of Heinz ketchup. I have to admit, I’ve always been a Heinz ketchup girl. I remember trying other ketchup in restaurants as a kid and not liking them as well. (That could also be related to my overall fussy eating specific food choices as a child). I like the idea of buying products made in Canada, but I also like my Heinz ketchup. It didn’t really matter for a while because French’s ketchup was almost impossible to find in stores. A couple of weeks ago I came across a couple bottles of the “buffalo ketchup” and thought I’d give it a try. I tend to like spicy foods, but the ketchup wasn’t “hot”; instead it had the flavour of buffalo chicken without the heat, blended with the tomato-y ketchup. I think it’s probably better to transition with a slightly different ketchup, so I’m ready for bbq season with my Canadian tomato based ketchup.